Interactive consultancy Pan Studio is to install the Hello Lamp Post! project in Bristol, which will see people ‘communicate’ with street furniture such as lamp-posts and bus-stops by texting a unique code found on the objects. 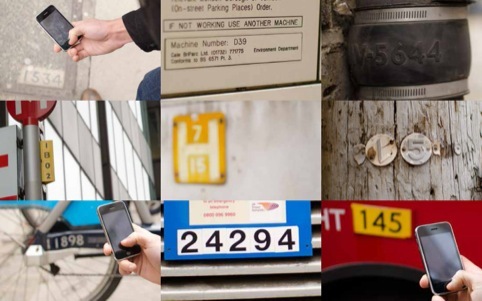 The project adapts existing codes which are used by the city council to tell one object from another when a light-bulb needs replacing or a bus-stop repairing. Now members of the public will be able to use these codes to ‘play’ with the objects. Every post box in Bristol has been given a six-figure code, every bollard has two, some benches have seven and the storm drains have 14. The Hello Lamp Post! project is being installed after winning the £30 000 Playable City competition, launched last year by Bristol art venue Watershed. It was chosen from 93 applications to the competition. Pan Studio co-founder Ben Barker says, ‘Our interest in the playable city was rooted in its contrast to the smart city, the almost invisible structures that underpin modern services. Hello Lamp Post! will be installed in Bristol from July to August, before touring internationally. What a waste of 30,000 quid. 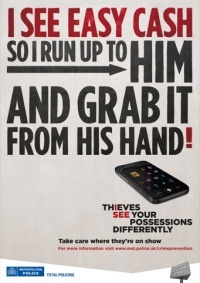 Talk to people passing by, not inanimate objects. It’s a much better way to ‘communicate with fellow citizens’..